On Tuesday, July 24, former Colombian president and influential Senator Álvaro Uribe announced his resignation from the Senate, following the Supreme Court’s announcement that he will be called to testify in an ongoing investigation into his possible involvement in witness tampering and bribery. The Court stated that it would investigate Uribe and fellow Democratic Center Senator Álvaro Prada for the crimes of “bribery and procedural fraud” that the accusation claims took place this year and were related to other, previous allegations of witness tampering. The case originates from an earlier attempt to investigate allegations brought forth by Senator Iván Cepeda, which claim that Uribe previously founded a death squad in his home province of Antioquia prior to becoming president in 2002. Cepeda published a book concerning this matter and was accused by Uribe of witness tampering, claiming that the witnesses received money for their interviews that contributed to the book. In February of this year, the Supreme Court dismissed the case against Cepeda and opened one against Uribe, claiming it was he who was at fault for allegations of witness tampering. On Tuesday, the Court issued a statement saying that these alleged activities continued after the ruling. 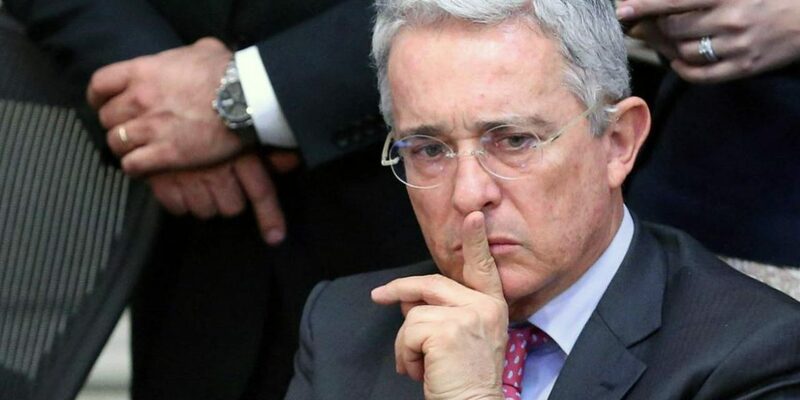 “As a reaction to that ruling and apparently with his consent, persons allied to the ex-president Uribe began new acts of witness manipulation,” the statement read. Following the news of the resignation, which Uribe announced himself via his official Twitter page, claiming he felt “morally impeded” to remain in his position as Senator while the investigation proceeded, president-elect Ivan Duque expressed solidarity with Uribe and his family and asserted his belief that Uribe’s honor and innocence would prevail. According to Pedro Medellín, a political scientist and columnist for Colombian newspapers, Uribe’s resignation and the issue of the investigation overall will affect the Democratic Center Party and their influence as a political coalition. Without Uribe in the Senate, it will be interesting to see how Duque governs once he takes office on August 7. Despite his continued support for and allegiance to Uribe as a personal friend and mentor, Duque may now feel more confident in approaching his legislative agenda from a more moderate standpoint.